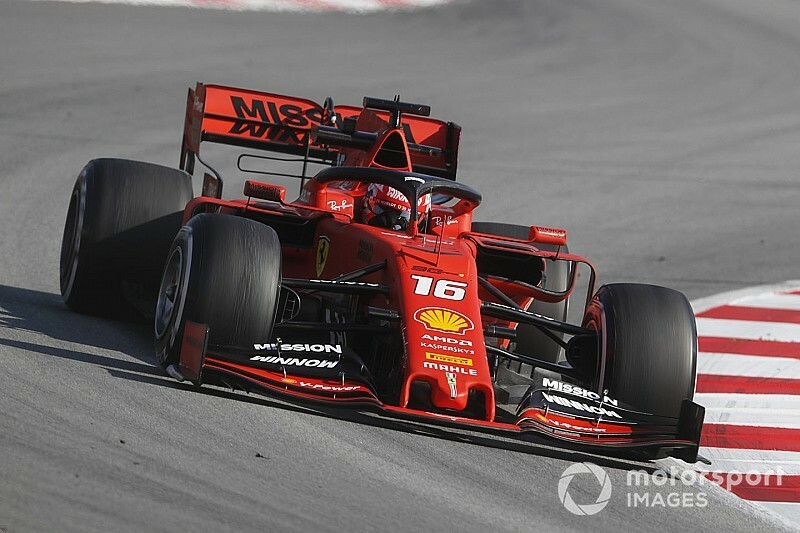 Ferrari driver Leclerc set the fastest time of the testing fortnight so far on Thursday morning, with his 1m16.231s effort on Pirelli's softest C5 tyre more than half a second faster than the next-best time. That lap was also a mere six tenths shy of Lewis Hamilton's 2018 Spanish Grand Prix pole time. Leclerc stopped with 20 minutes of the session to go but before that had added 82 laps to the 56 he managed in the morning. His time was not challenged later in the day, as the majority of teams switched focus from performance runs to race simulations come the afternoon. Leclerc was one of four drivers to beat the previous testing benchmark that Carlos Sainz had set on Wednesday. Toro Rosso's Alexander Albon and McLaren driver Lando Norris traded fastest times in the early part of the day, but it was Albon who ended up second to the Ferrari with a best time of 1m16.882s. Norris's personal best was also set on the C5 - this was the case for every runner in the top eight - and shaded Red Bull driver Gasly's 1m17.091s by seven thousandths. Red Bull bucked its trend of running almost exclusively on the C3 tyre by sending Gasly out on a handful of C5 runs in the morning, but its long-run mileage was limited in the afternoon when the Frenchman crashed at the fast Campsa right-hander. The accident ripped the front and rear wings off the Red Bull, but Gasly was able to get out of the car and declared he was OK after a visit to the medical centre. He had completed 65 laps at the time of his accident, and had just started a long run on the harder C2 tyres. 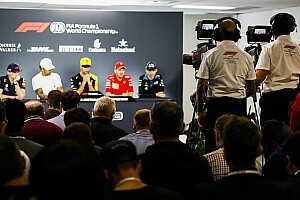 Renault pair Daniel Ricciardo and Nico Hulkenberg ended up fifth and sixth fastest, with Ricciardo doing a number of short runs in the afternoon and completing eight fewer laps than the 73 his teammate had managed earlier in the day. Lance Stroll was seventh for the Racing Point team, which cleared 100 in a single day for the first time in this year's testing fortnight. Stroll had moved onto his 103rd lap of the day when he stopped on the back straight, causing a red flag with just over an hour of the session remaining. 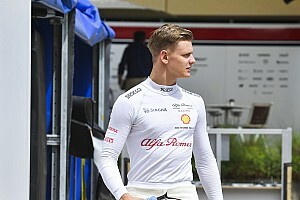 The Alfa Romeo of Antonio Giovinazzi was eighth ahead of Haas's Romain Grosjean - who managed to squeeze in 16 laps before the end of the day as Haas lost time fixing an exhaust issue it had noticed after Kevin Magnussen's morning running. 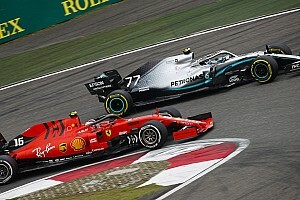 There was no headline time from either Mercedes driver, but both Hamilton and teammate Valtteri Bottas completed significant and impressive long runs either side of the lunch break, completing 85 and 96 laps respectively. Williams's George Russell recorded more laps than any other driver - 140 - and ended the day with the 11th-fastest time, ahead of Magnussen and Bottas, who both recorded their best laps on the mid-range C3 tyre.